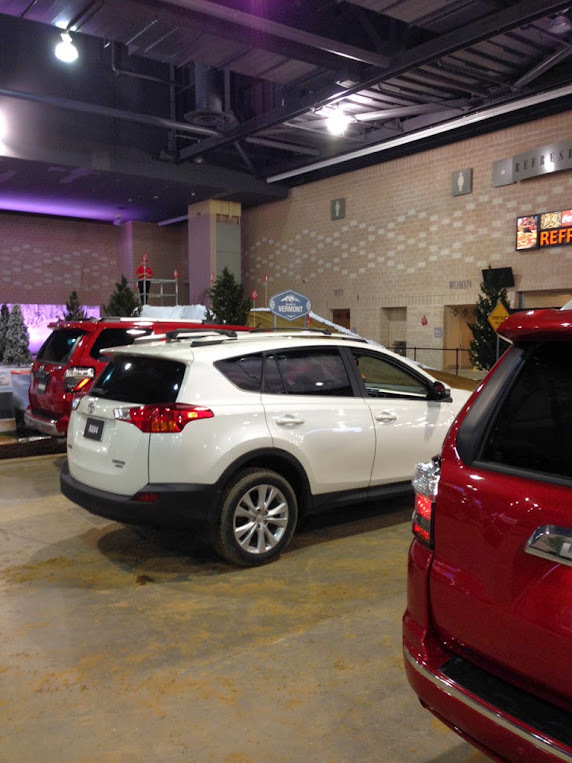 Toyota, Superior Scaffold, the Philly auto show and Vermont? An update. 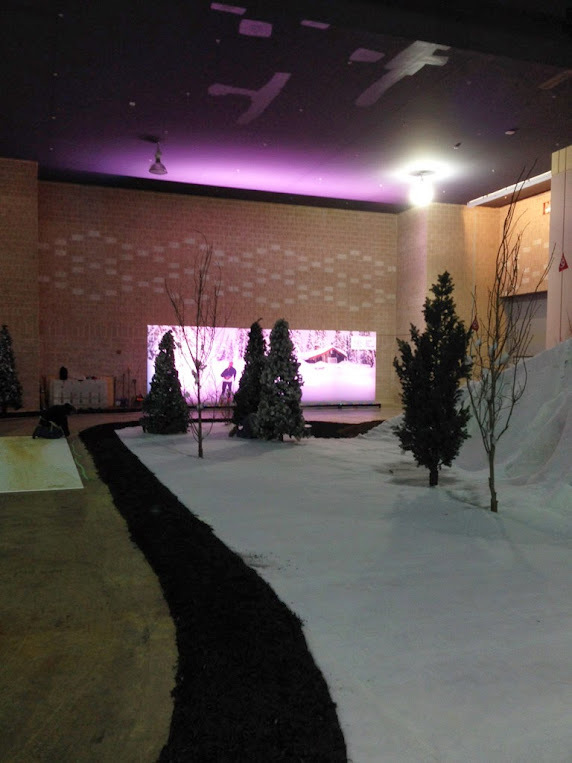 I wanted to follow up on a post we did last month about the ramp we built for Toyota at the Philly Auto Show. I didn’t have the photos at the time but now I do and boy are you in luck! These picks are after the skeleton was erected and just as the dirt was bing poured. 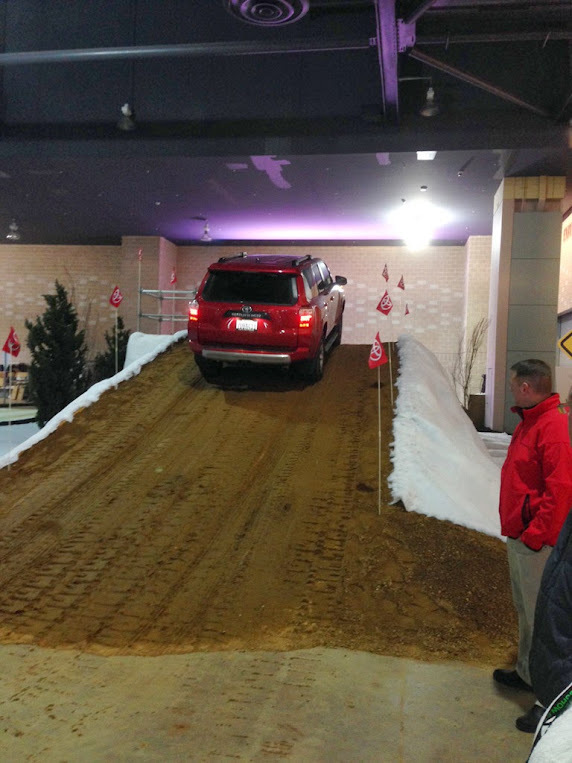 It’s not everyday that you get to see the behind the scenes workings of an auto show, especially one where they constructed a ramp and obstacle course to test their vehicles. Let me show you a few pics of what the ramp looked like going up and then I’ll show you the finished product and how it was used. This is what the space looked like when we were erecting the ramp. Here you can really see what went into constructing a ramp strong enough to hold dirt, cars, and passengers. 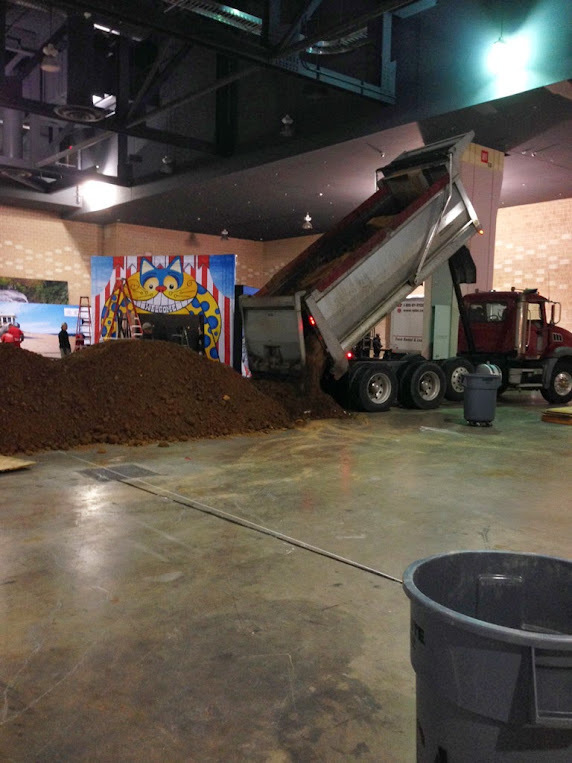 The dump truck unloading all of the dirt for the ramp. 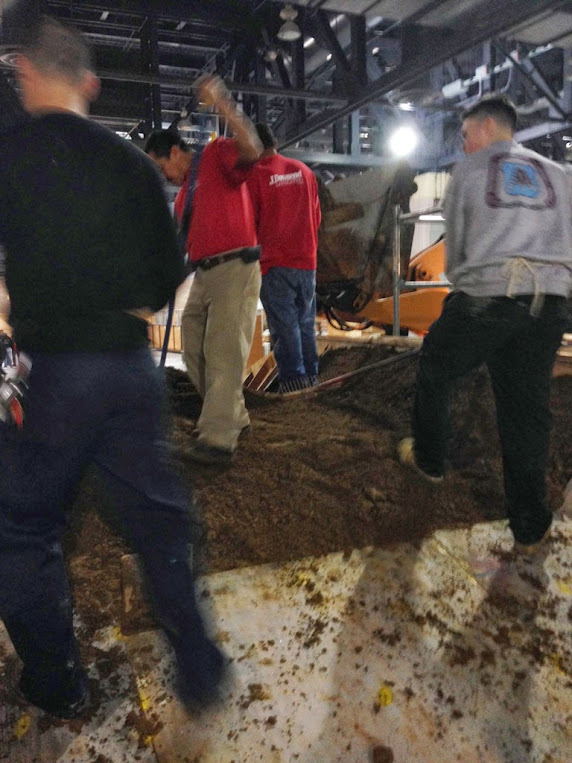 Crews feverishly moving dirt up and onto the ramp itself. And the moment of truth! The first test car to go up and over the ramp. Success!!! 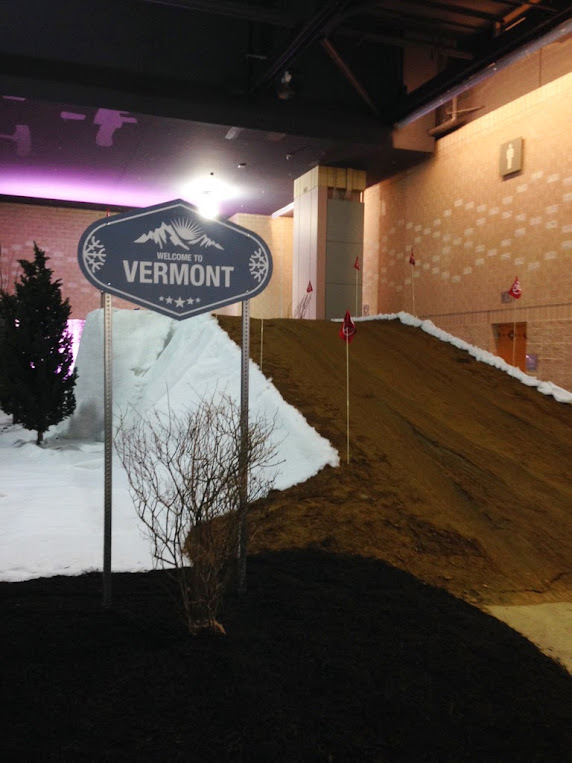 Even though the show was in Philly – Toyota thought it might be more realistic to have a sign that said welcome to Vermont? Where’s the love? 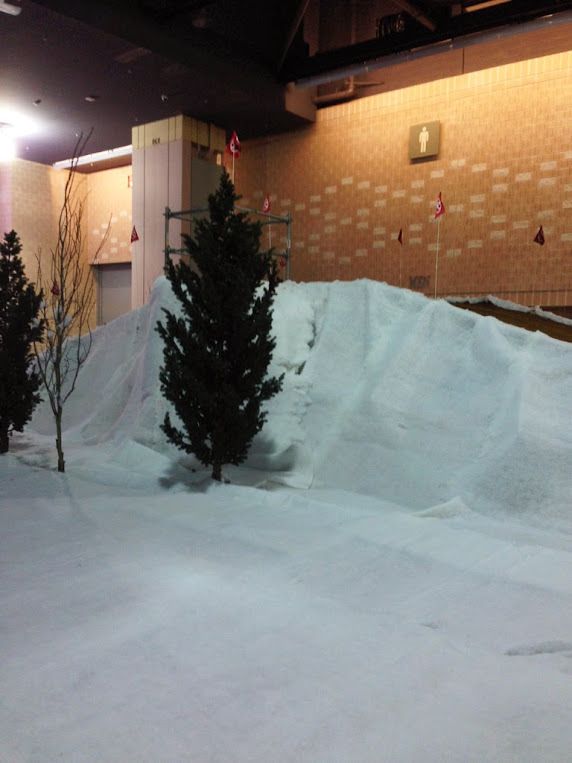 This is the Vermont snow that was placed on the side of the ramp and all around the obstacle course. These are some of the test vehicles that Toyota brought out to take customers out and around the course. This shows you where the course flows once you come down the other side of the ramp. There is a very large photo of a snowy environmnent and a cross country skier coming right at you – I guess somewhere in Vermont? 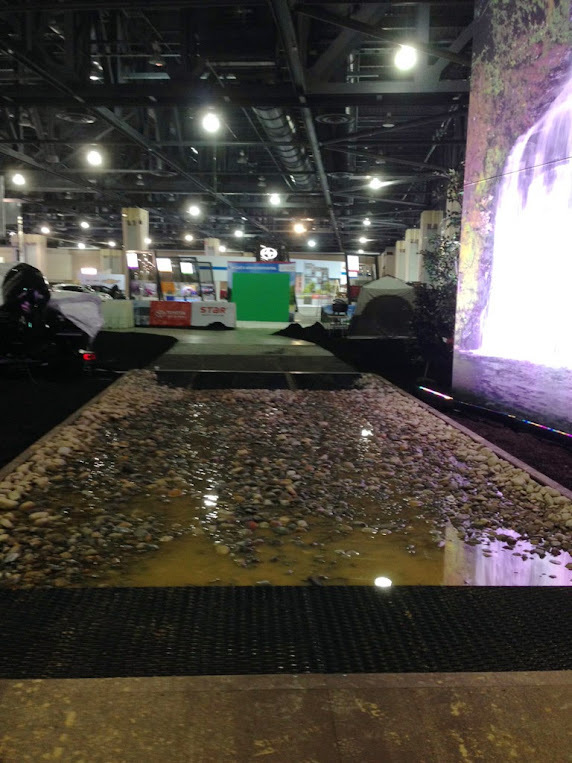 Every obstacle course needs a water hazard complete with rocks, sand and mud! 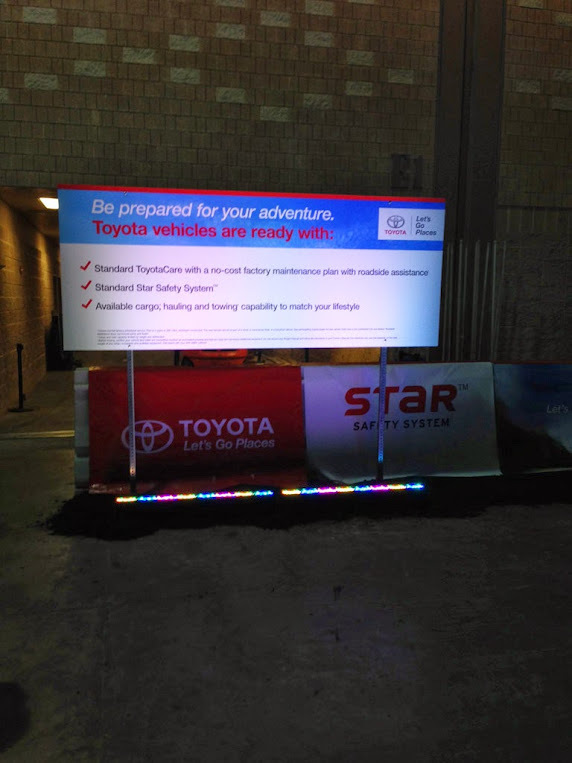 Superior Scaffold was proud to work with Toyota on this ramp for their course. It weathered 3 days of constant abuse without a scratch. There was much more to the actual course but I just wanted to give viewers an update to the ramp we constructed. It’s fun to see just how the finished product looks and functions sometime. Ask for Pat. He will take good care of you. Posted on March 26, 2014, in News & Updates, System and tagged 215 743-2200, building materials, construction, DE, equipment rental, General contractor, inspection, ladders, leasing, masonry, MD, NJ, NY, phila, rent, Rental, renting, rents, scaffling, scaffold, scaffold PA, scaffolding, scaffolding philadelphia, scaffolding rentals, scafolding, superior scaffold. Bookmark the permalink. Leave a comment.